The official census records are available for 1790 to 1940. It will be April 2022 before the Federal Census records for 1950 are available. There must be so many relatives you want to look up in those censuses. Well, remember some states did their own mid-decade censuses for their state residents. Florida for example did 1935 and 1945 censuses. Indiana did 1931. Rhode Island did 1935. South Dakota did 1945. So if an ancestor was in one of those states at the time, you are in luck. Check out the full list of other state censuses at the ‘Census Govt‘ site. 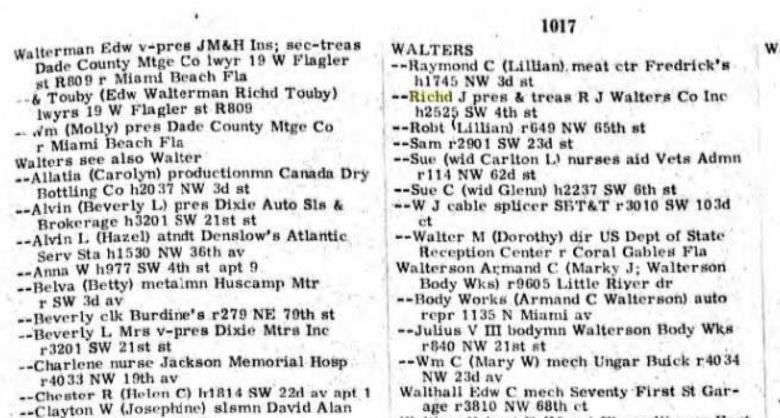 So how to find some info on an ancestor in the 1940s into the 1950s — think city directories. On Ancestry.com (fee-based), check out their database of 1950 Substitute (city directories). Examining a city directory, especially over several different time periods you see where an individual lived, their occupation and if there was a spouse. Do try different spellings for a surname and given names. If you are interested in a specific census record for a certain relative, the census department has a site which can provide the form and details for getting a census record, anywhere and time between 1910 and 2010. YES, that recent a census. 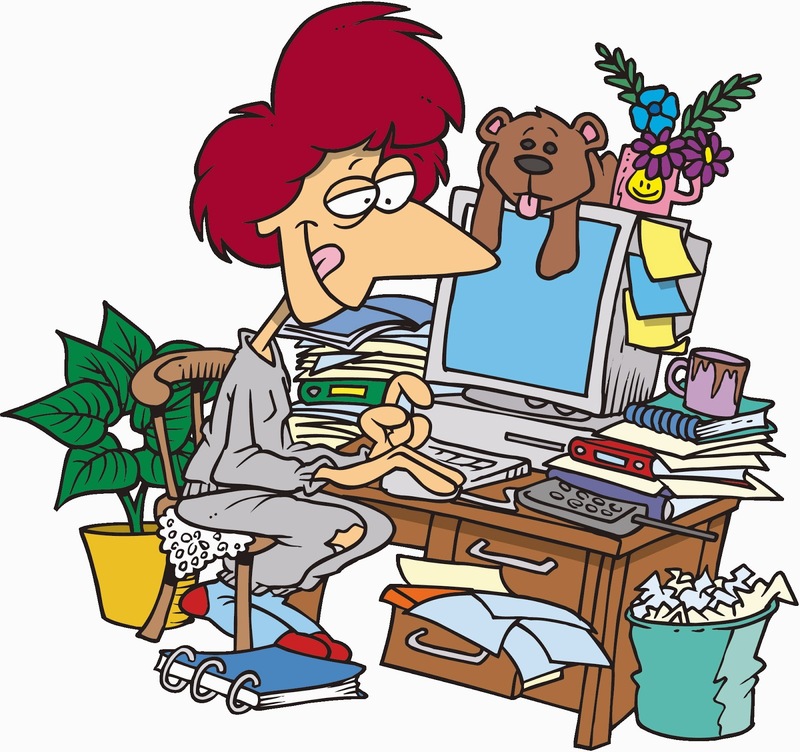 However, it will cost … starting at $65 and depending what other items you request, it can go over $100. This is for those individuals who really want to investigate a relative. 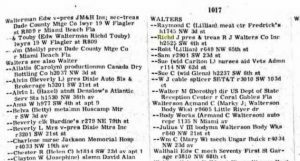 Photo: City directory for Miami, Fl with listings in the ‘W’.